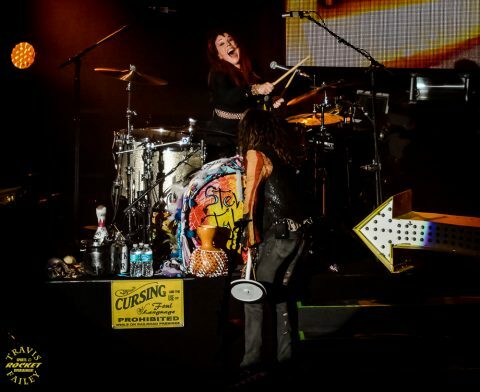 Steven Tyler has always marched to the beat of a different drum. He’s never been afraid to take chances that some media and fans have deemed to be bad moves for his career or image. 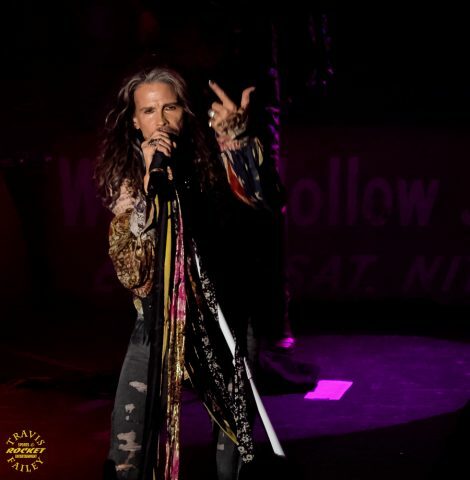 Steven Tyler has never cared about those opinions, whether it was using his daughter in a risqué music video to launch her career, during his brief stint on American Idol, or his latest venture, taking his talents into the country music arena. 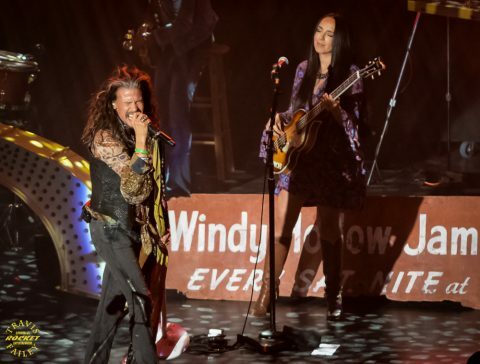 Monday night’s crowd at Ruth Eckerd Hall in Clearwater would not be disappointed, as Steven Tyler brought his band from Nashville, Loving Mary, to perform songs off his first designated “country” album, We’re All Somebody From Somewhere. 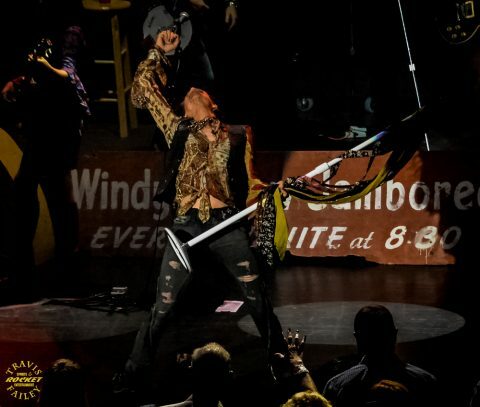 The packed house was treated to a special musical and storytelling performance by one of the greatest front man in the history of rock music. 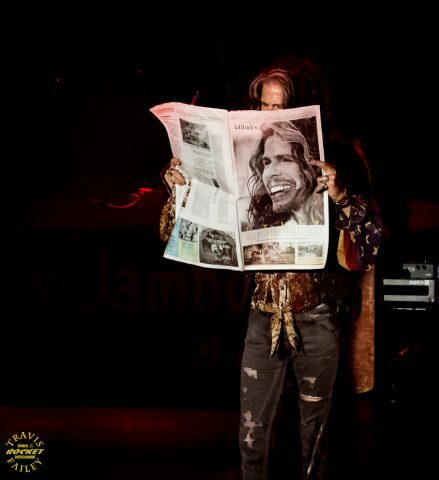 After Loving Mary took the stage, Tyler strolled out holding the Tampa Times newspaper with his image on the front page in front of a video montage on the screen. By using and discussing pictures from his past, Tyler gave the fans a timeline of his life and created an intimate experience for those in attendance. 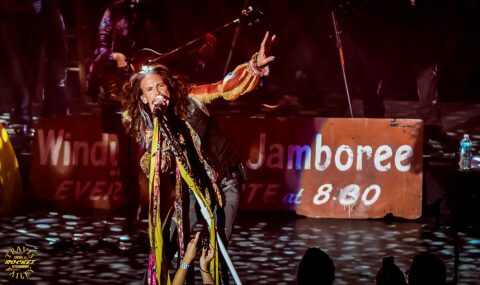 Following a short opening monologue, the country songs would have to wait a bit as the band started with an Aerosmith classic, “Sweet Emotion.” It was a perfect primer for a crowd that was ready to sing and dance with a musical legend. The crowd was made up of Baby Boomers to Millennials, with the women outnumbering the men. Everyone was dressed to the nines, and some looked to be wearing their clothes from 1979. “Crying” from Get a Grip was next. The single still sold six hundred thousand copies in 1993 at a time when rock was transitioning to grunge. But then again, Aerosmith has always seemed to be able to maintain some level of success while others have faltered and never recovered. 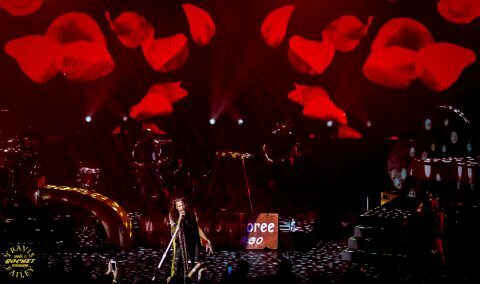 Two classic Beatle covers were next, “I’m Down,” from Aerosmith’s Permanent Vacation, and “Come Together.” “Come Together” was a rare live demo initially released by Aerosmith on their Live! Bootleg double album. I was introduced to Aerosmith as a young kid through that 1978 Live! Bootleg release, and in my opinion, it’s a very under rated live album. I love that album for its classic early Aerosmith sound, before the Perry-Tyler split and reunion. The first song played from We’re All Somebody From Somewhere was the title track. As I listened to it for the first time, it sounded more like southern rock than country, with a splash of Steven Tyler’s soul mixed in. 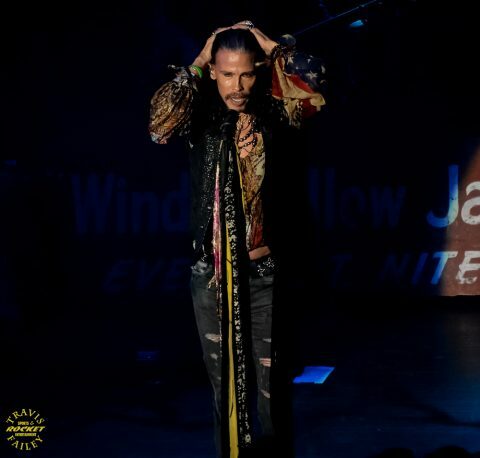 Those in the crowd that wanted to see Steven Tyler naked partially got their wish. Steven told a story of how after he left his first band and then got a job mowing lawns. The only thing that was special about that job was that he used to cut the lawn in a Speedo, which was shown on the big screen. But his landscaping career wouldn’t last long, as he met Joe Perry shortly afterwards. Perry invited Tyler to attend a jam session. 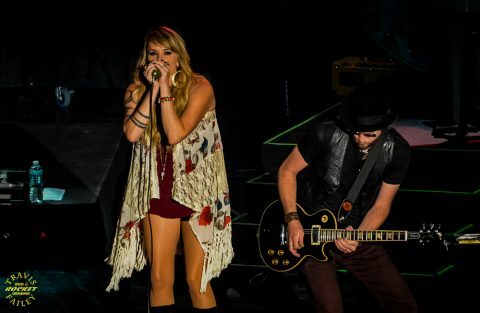 When Perry and his band busted out with Fleetwood Mac’s “Rattlesnake Shake,” Tyler said that he knew that he found his very own Lennon-McCartney, Mick-Keith combo that he’d been looking for. This origin story was the lead-in for the next song, “Rattlesnake Shake” with Loving Mary providing their own spin on the song with the addition of a banjo and harmonica. 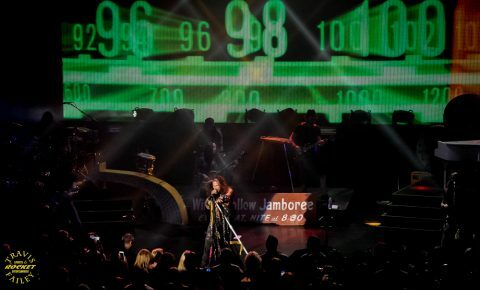 The rest of the set was a combination of Aerosmith hits mixed with his new solo material. Highlighting the new material was “My Own Worst Enemy” with Tyler discussing his past addictions, the 12-step program, and how he was going to the Kennedy Space Center to get high in the sky. The opening notes of “Dream On” rang out shortly after Tyler positioned himself behind a white grand piano on the stage. A single spot light shined on Tyler as a “musical connection” traveled throughout the building. The crowd sang as one wearing a variety of emotions on their faces until the final high note was hit by Tyler. 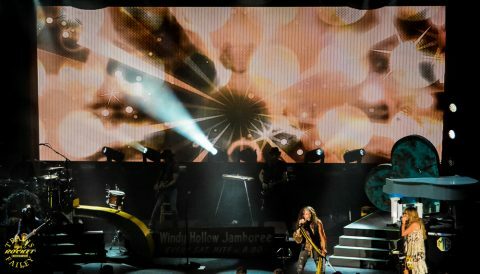 It was a special moment as “Dream On” has touched many generations since its release off their 1973 debut. Next up was “Walk This Way,” which transitioned into Led Zeppelin’s “Whole Lotta Love.” Tyler’s vocal range shined at 68 years old as he crushed Plant’s legendary high notes throughout the song. A well deserved short break was followed by a three song encore that included “Janie’s Got a Gun,” performed in a slow brooding manner with a Middle Eastern musical introduction. It was another memorable moment in an evening that was filled with them. “Only Heaven” was next off of the new release, followed by a rousing rendition of Tiny Bradshaw’s 1951 classic “The Train Kept a Rollin,” which closed out the night. 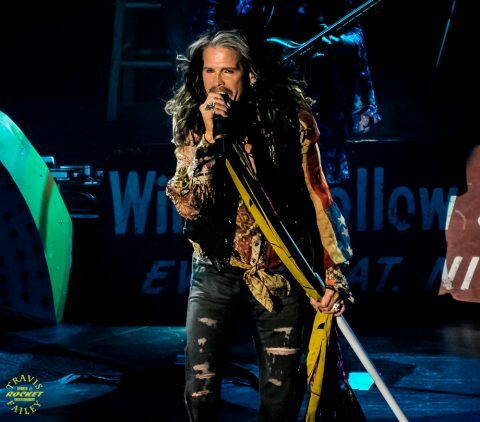 Steven Tyler brought a new band, a new album, and some new sounds to Clearwater’s Ruth Eckerd Hall on Monday night and he brought the house down. 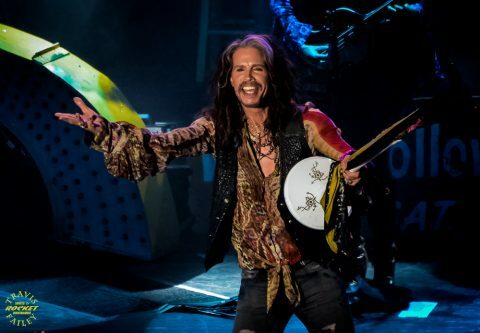 There was some cynical chatter when this project was initially announced, as there always has been during Steven Tyler’s career. But the risk paid off in roses, and his fans are thankful that he took it.